Our stud, Karamojo Tau of Ekundayo, "Kunday"
​His breeder selectively bred South African lines for his working breeding program. ​ Kunda's father, Chief has been clocked running at 43 mph. in a short distance. He literally glides when he runs, it appears effortless! 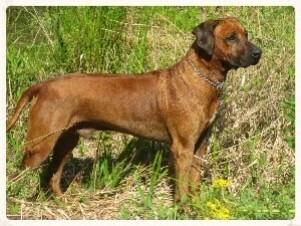 His pedigree has outstanding working South African Ridgeback lines. 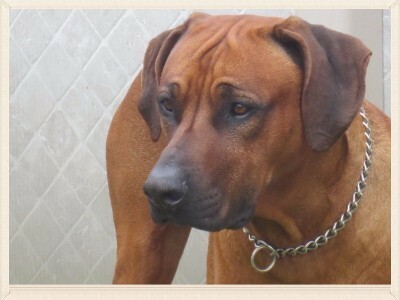 Kunda is a very sweet & spoiled boy. He enjoys running trails with Mandisa in the woods, running through mud and water while smelling all the scents the woods have to offer. He loves to kill possums when he finds them! Kunda has the true South African look, very muscular with large blocky head.